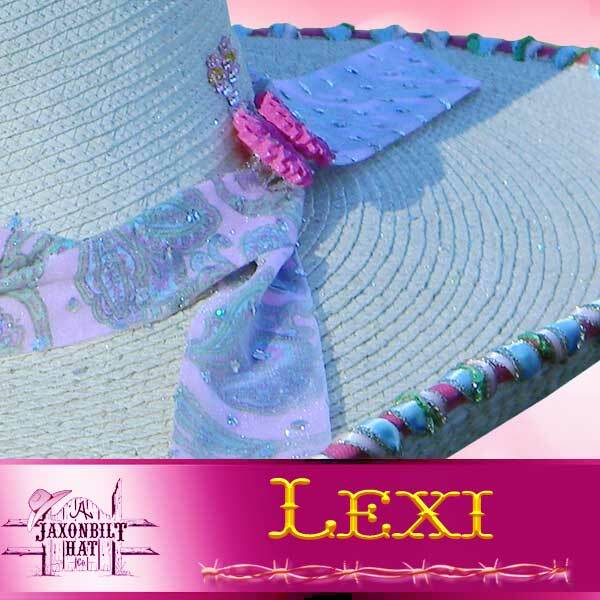 “Lexi” Another great hat built by JAXONBILT. You design it and we will create it. 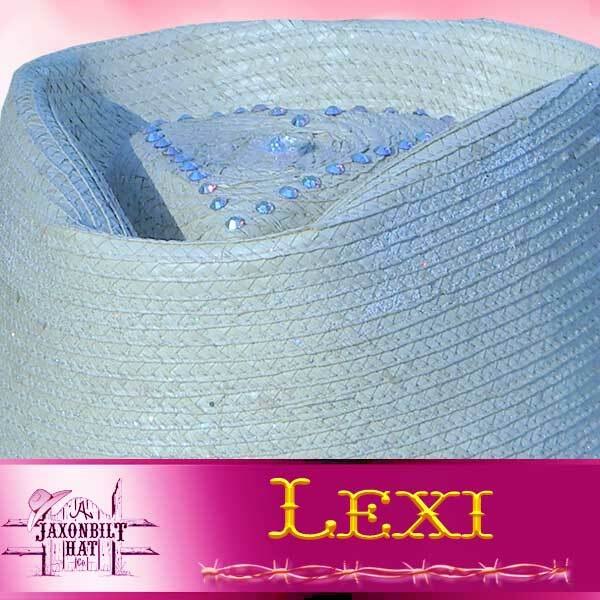 The Lexi has a “Jeweled” heart crown style. 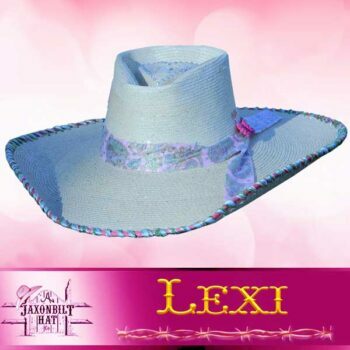 The trim is made to complement the overall style of the hat with the heart in mind. 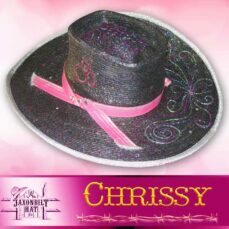 A ribbon whip stitched brim, to match the crown ribbon. 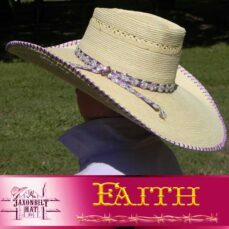 A real beauty of a hat.